Just the other day I posted about how sitting still is overrated. Yesterday, the New York Times published an opinion piece on the downside of early academics, which is linked to sitting at desks. Let the Kids Learn Through Play, the headline urges. To which I respond, what do you think we’ve been doing? By we, I mean a certain subset of homeschoolers. 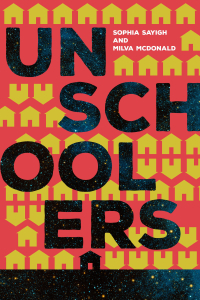 You might say we’re unschoolers, or unstructured, or that we practice child-led learning. I could care less about the label, but I do care about the process, and kids learning through play is at its heart. This isn’t something we made up. It’s what kids do naturally. It’s how they learn, grow, process, and experiment. We also know that barring special situations, basics like reading and arithmetic don’t have to be taught. Supplying a rich and supportive environment including ample time for play takes care of that. It also nurtures the innate curiosity kids bring into the world with them. Although I didn’t need any studies to embrace these ideas, I’m glad science is proving that a play-centered approach is preferable to the didacticism being pushed in schools. I feel for teachers of young children who are forced to implement programs that are at best ineffective, and at worse harmful. As Lesley University Professor Nancy Carlsson-Paige says in the New York Times piece, “I’ve seen it many, many times in many, many classrooms — kids being told to sit at a table and just copy letters. They don’t know what they’re doing. It’s heartbreaking.” Heartbreaking is exactly the right word. Meanwhile, we’re out here living, learning, thriving, and playing. I’ve said it before, and I’ll say it again: Play on.